A pleasant aroma hovers over the palatable reels of Million Coins Respins Slot! Crafted by iSoftbet, this online machine is a fruit-themed game. It simulates the feeling of playing Vegas fruit machines online with old-school functions, classic sets of symbols and a retro design. This 5 reels and 20 paylines slot by iSoftbet will have you oohing and aahing. From exciting features to tasty symbols, the game has it all. Get ready to cook up some fun on Wicked Jackpots! Start Million Coins Respins Slot by opening your account on Wicked Jackpots or feel free to register for one. This flavoursome slot machine offers an action-packed gameplay with variable stakes. The ream of symbols that you will find swirling on the reels is full of well-known images of 7s, cherries and BARs. These zesty symbols might aid you to create winning combinations. Feast your eyes on this brilliant game and have a transcendent fruity time! Bet Levels: There are no Bet Levels available on Million Coins Respins Slot. Amount of Paylines Selection: The 20 number of lines cannot be changed throughout the whole spinning event. Expect them to remain enabled! Coin Values: Coin denominations can be selected from the Total Bet (Coins) field! The Bet Per Line ranges from 1 to 5 while the Maximum bet is set at 100. Choose the preferred bet value and get started anytime! 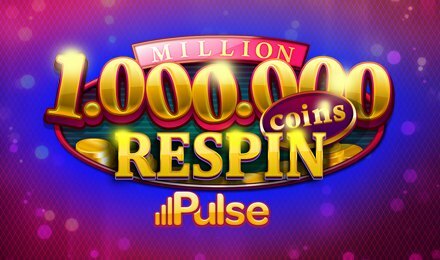 Million Coins Respins Slot lets you use the Wild Cards to complete paylines with missing paylines. What’s excellent? Wild Symbols can also offer a 25,000-coin payout with 4 symbols or 50,000 with 5 symbols. You may have the option to respin any reel after any spin. Thus, this will give you the opportunity to fill in a potentially rewarding payline that is missing only one symbol. Some exceptionally high multipliers are offered to unlock where you can grab some thrilling outcomes: 10+0+0+0+00 on line 1: 1,000,000 coins, 10+0+0+0+00 on lines 2 to 20: 100,000 coins and 10+0+0+0+0 on lines 1 to 20: 100,000 coins. This enticing feature could bring flexibility to your gameplay on Million Coins Respins Slot. If you are sorting out the kids or multitasking, you will very much use the Autoplay Option. It will let you pre-set numerous game rounds to play simultaneously. A handful of fleshy fruits awaits you! Good luck and have a super thrilling spinning adventure!